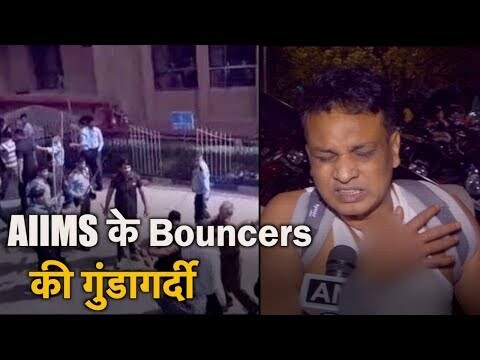 NEW DELHI: AIIMS trauma centre on Sunday afternoon witnessed chaos after the family members of a four-year-old girl patient were allegedly thrashed by bouncers. 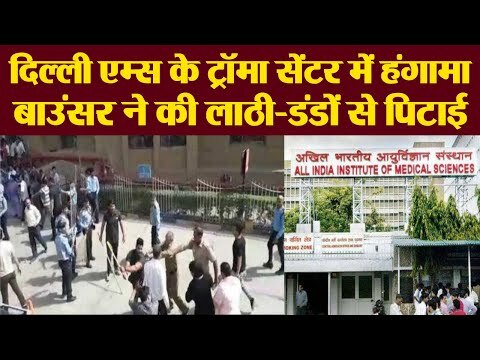 The girl from southeast Delhi had been admitted there last week after falling off the fourth floor of her house and sustaining spinal injuries. The patient’s family members said they were trying to enter the trauma centre at 3pm when the security staff at the gate allegedly misbehaved with them and refused them entry. This resulted in an argument between a woman and the security staff. As more family members of the patients entered the hospital, the security staff alerted the bouncers. A video of the incident went viral a few hours later. 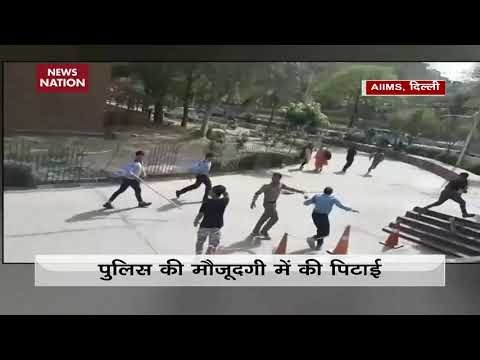 It showed the bouncers and security staff charging at the family members with lathis. Both sides were heard exchanging verbal abuses during the scuffle. Later, police brought the situation under control. DCP (southwest) Devender Arya said that a case of molestation, causing hurt and wrongful restraint has been registered at Safdarjung Enclave police station. “Five people have been apprehended and the CCTV footage is being analysed to ascertain the sequence of events,” he added. 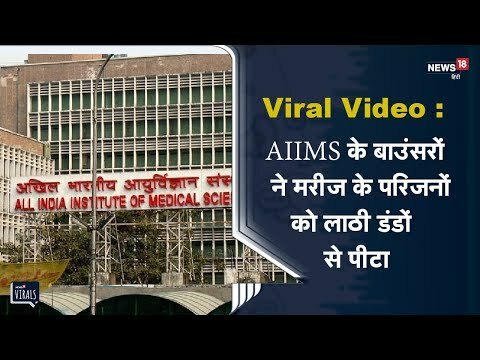 Senior AIIMS officials said they are looking into the matter. An inquiry is on to fix responsibility and take necessary action. Hospital sources said they have videos showing the family members starting the fight. 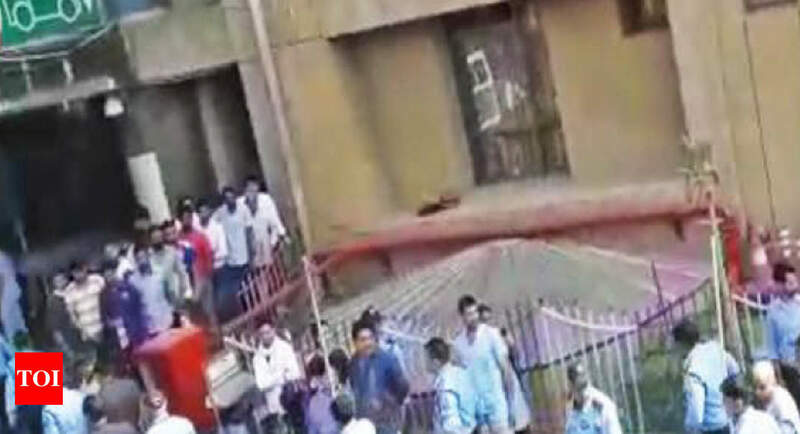 The security staff stopped the family when at least 10 members tried to enter the ICU.